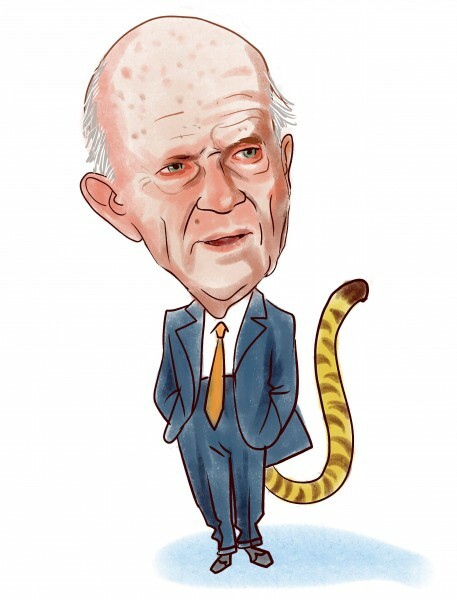 In the hedge fund universe, billionaire Julian Robertson is one of the most notorious figures, even though he has been retired for more than a decade. He is still widely followed and his opinion on the overall state of the markets and individual stocks is highly valued. Robertson’s Tiger Management still holds a small equity portfolio, worth around $748.40 million. Nearly 60% of the portfolio is represented by Technology and Consumer Discretionary stocks, with Healthcare, Finance, and Transportation stocks amassing smaller portions. In this article, we are going to take a look at Robertson’s top five holdings, as disclosed in its latest 13F filing. We follow investors like Robertson, because we believe that imitating some of their long positions can help us outperform the market. Hedge funds and other institutional investors usually focus on companies with strong fundamentals and bet on companies that can generate returns over the long-run, which is why they are the perfect investors to emulate. Our strategy involves imitating a portfolio of the 15 most popular small-cap stocks among some 730 investors and it has returned 102% since August 2012, beating the S&P 500 ETF (SPY) by some 53 percentage points (see more details here). Julian Robertson remained confident in Facebook Inc (NASDAQ:FB)‘s performance, having increased his stake by 7% to 476,900 shares worth $42.87 million during the third quarter. The holding amasses 5.73% of Tiger Management’s equity portfolio value and is the fifth-largest in terms of value. Earlier this year, Robertson mentioned Facebook among his high-growth picks and he hasn’t been proven wrong, as the stock has gained more than 35% since the beginning of the year. Other smart money investors share the same opinion on Facebook, as the company ranked as the fourth-most popular stock among the funds that we track, with 127 of them holding shares of the company. Stephen Mandel, one of Robertson’s former protégés and the manager of Lone Pine Capital, is also betting big on Facebook, owning 10.70 million shares. In Blackstone Group LP (NYSE:BX), Robertson almost doubled his stake, reporting ownership of 1.38 million shares valued at $43.58 million. The investor acquired shares of the alternative asset management company as its stock slid by 21% in the third quarter amid an overall drop of the market. Blackstone Group LP (NYSE:BX) has significant exposure to stocks and invests some of its capital with large hedge funds such as Bill Ackman’s Pershing Square and Larry Robbins’ Glenview Capital, both of whom lost money in the last couple of months. Nevertheless, Blackstone has a 10% return on equity and is trading at a price/book ratio of 3.6, versus the 2.8 mean for the S&P 500 companies. John W. Rogers’ Ariel Investments is another shareholder of Blackstone Group LP (NYSE:BX), holding 1.15 million shares as of the end of September. Read on to see which stocks made it to the top of the list of Robertson’s largest holdings.